Full amount is refundable up to 30 days before arrival date minus 15% processing fee. After this time and date, 50% of the deposit can be refunded up to 14 days before arrival date. After this time and date the balance is non-refundable. We actually cater to groups, so you would be most welcome and well taken care of. 1. We have about 150 beds & yes, we can accommodate your group. 2. If you have room in your itinerary, I can advise on some tourism activities as well as local-known-only interests. In order to accommodate a group your size, we need to turn off bed availability to all others. This means we would be committed to your group, turning away business to others, so we need an up front deposit of 25% of the balance of the beds you want held. $10 security deposit per person is required and refunded upon check out. The beds can be reserved immediately. Balance is due 30 days before arrival date (exceptions may be made with manager). I need to know some things about the group too. We are the closest Hostel to Famous Las Vegas Strip and the only hostel where guest get together almost nightly for drinks and to socialize! Start your night playing drinking games with international travelers. If six or more sign up, we’ll all go out as a group to the bars or a big club. The hostel gets awesome discounts on major clubs with big DJs if we get enough people. 2 min walk to convenience stores (cheap booze)! Twice weekly - Zion & Bryce Canyon! 1 min walk to Deuce bus (to famous strip and Fremont! 1.Cards may be charged first night prior to arrival. All nights on peaks (see below holidays, etc). 4. Deposit refunds may take up to 30 days depending on your bank. Private rooms have 6 bunk beds, but it will be only you and there is a private bathroom in the room. Wer Lust auf das Nachtleben von Vegas hat und gerne neue Leute kennenlernt, der ist dort genau richtig! Super süßes Hostel, schöne Atmosphäre, alles gut zu erreichen, und coole crew! Gerne wieder! I loved staying there. The staff and the other guests were all so friendly and i made many new friends there. 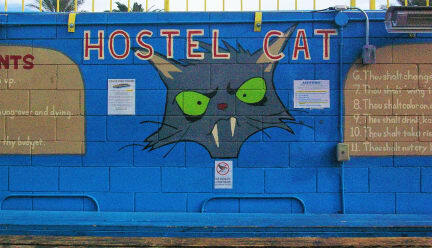 The Hostel is not one of the newest but it’s clean and has a perfect location, near to the strip. I felt really good there and for a short trip to Las Vegas it’s perfect. I really would come back and stay there again. Alles ok, sauber, alles funktioniert Weiter zu empfehlen!!! Für ein paar Tage in Las Vegas ist das Hostel echt gut. Man fährt mit dem Bus ca 10 min und ist schon auf dem Strip. Busverbindung sind richtig gut. The employees are very nice people and they gave everything to make our stay more comfortable. The rooms are okay and get cleaned every day. The kitchen is small but you have a place to put in your stuff. 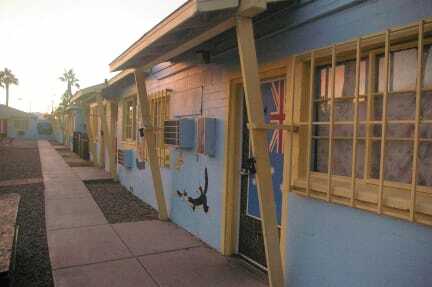 Nice flair in the hostel, nice staff, its a bit to walk to the strip, right between strip and downtown. Taxi from airport for around 45 dollars. Funfact, The marriagechurch from a movie called hangover were right at this location. Es ist kein schönes Hostel und auch nicht wirklich günstig außer am Wochenende. Man übernachtet dort weil man gerne mit der Hostel Gruppe was unternehmen möchte. Vor 1-2 Jahren wurden von dem Hostel viel organisiert aber leider wird darauf kein Wert mehr gelegt. Mann ist also (fast) auf sich alleine gestellt. Früher hat das Hostel wirklich Spaß gemacht. Dann lieber ein Hotel buchen und zum Pub Crawl gehen. Da lernt man mehr Leute kennen.